Dr Bill Frankland, allergy specialist, is interviewed by Kirsty Young. Kirsty Young's castaway this week is Dr Bill Frankland. Frequently referred to as the "grandfather of allergy", his achievements include the introduction of the pollen count to the British public and the prediction of increased levels of allergy to penicillin. 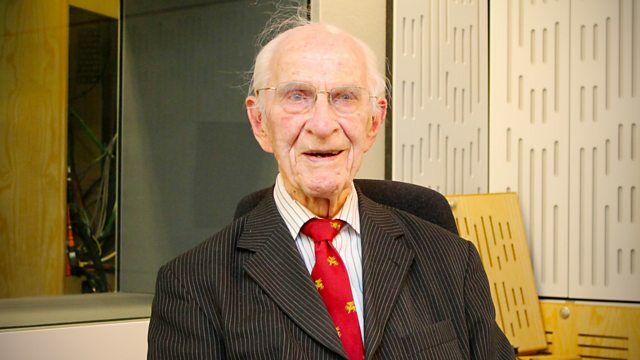 Born in Cumbria in 1912, Dr Frankland turned 103 in March. He studied medicine at Oxford and worked at St Mary's hospital in Paddington, London, before war intervened. He signed up to the Royal Army Medical Corps (RAMC), but spent over three of the six years he spent in the army as a prisoner of war in Singapore. After the war, he began work in the dermatology department at St Mary's, but quickly switched to allergy which became his passion. During the fifties he served as a registrar to Alexander Fleming who had discovered penicillin back in 1928. In 1954 he published a seminal research paper about a double-blind randomised trial proving that pre-season pollen injections greatly reduced the symptoms of hay fever sufferers. He has treated high profile patients including Saddam Hussein and given evidence in court - possibly the oldest expert witness to do so. He continues to work in a private practice and has remarked, "I really don't know what people do when they retire at 65.". Performer: Jennifer Larmore. Performer: Rebecca Evans. Performer: Philharmonia Orchestra. Performer: Sir Charles Mackerras (conductor). Performer: The Choir of St Paul's Cathedral. Performer: Christopher Dearnley. Performer: John Scott (conductor). Performer: Louise Kemeny. Performer: Mikhail Shilyaev. Recorded Live on Radio 3's In Tune October 2014. Fantastie Op. 17 Fantasiestucke Op. 12. Performer: The Band of the Welsh Guards. Best of British Military Bands.